Is Your Neck a Pain in the Neck? What is considered to be Neck Pain? Neck pain is commonly caused by a joint problem, particularly the facet joints, which are two small joints between two separate vertebrae. When the ligaments around these joints are strained, the muscles around them go into spasm, causing pain, inflammation, and discomfort. This can also happen when you rotate or bend the neck suddenly. repetitive stress. But injuries such as falling or being in a car accident (even a minor accident) can cause this problem. One of the biggest contributors to neck pain is sitting at a computer for extended periods of time or using your smart phone. It can make it difficult to do simple things like turning your head to look to your side or behind you, sitting and working on computer, driving, picking up your child, and even sleep through the night. It can even cause debilitating headaches which keep you from remaining active. If left untreated, Neck Pain can lead to Spinal Problems. Neck pain with poor posture often leads to “Dowager’s Hump," also known as “Humpback” if left untreated. A Dowager’s Hump is most commonly caused by having improper posture; more specifically, it is the result of having what is known as ‘Forward Head Posture’. Forward Head Posture is the most common type of poor posture where the head is in a slightly more forward position than is normal for the natural curvature of the spine. Standing up straight while having your head in neutral, gently turn your neck to the Left, then Right, Look Down, Then Up. If you feel pain with any of these movements that means you have active inflammation & strain. Attempt to touch your ear to the corresponding shoulder, If pain gradually increases throughout the movement, it's a sign that you have muscle tightness & inflammation. Go as far as you can go without forcing into pain. How do you get rid of Neck Pain and Improve Posture? My revolutionary Pain in the Neck program helps to get rid of tight muscles, strengthen weak muscles and it often works in as little as 1 session. Depending on the complexity of your condition, it may take up to 6 sessions to fix. I discovered this solution while working with over 1000 patients who suffered from neck and shoulder pain. As I treated their shoulder pain, their posture and hunch back seemed to improve as well. I found that if I normalize these muscles (and make them strong and healthy) the neck pain and posture improved very quickly. In case you were wondering, it’s all-natural. No drugs. No injections. No surgery involved. This discovery has led to a dramatic increase in how fast my patients got better. They were able to turn their head more easily, experienced less headaches, They were able to sleep through the night comfortably. They were able to be more active, work and live their life again. Not all treatments are the same. Not all traditional neck pain treatments lead to a better posture (not by any means). And believe it or not, some may actually make your posture worse! Not all practitioners treat neck pain the same. And not all treatments target these specific muscles. My hands-on technique is highly unique. I focus on functional movement patterns restore the motions and muscles of the neck to get quick maximum results. My 15 years of experience has led to the discovery of this revolutionary new way to stop Neck Pain in nearly almost anyone of any age, body type or condition. My name is Joshua Holmes, PT and I am a licensed physical therapist who specializes in Neck pain. I’m also a certified Mulligan Practitioner and have a special interest in helping those with this problem become more pain-free, healthy and active. My years of experience and research has led to the discovery of this revolutionary new way to stop NECK pain and POOR POSTURE in nearly almost anyone of any age, body type or condition. Most feel better immediately. You can expect the pain to improve after the very first session. You could see an improvement in posture in as little as 7 days while on this program. Most are done with the program in 6 sessions and then continue on their own. Some require 12 sessions depending on the complexity of their condition. The cost ranges from $37 to $87 per session. And most complete the program within 6 sessions. The complexity of your condition will determine how many sessions you’ll need. Most everyone sees results the very first session and they love it. It's only for those serious about getting rid of Neck pain. Remember, this is only for you if you are serious about results. Click below to get started or Call (507) 424-0678 now. Yes. All procedures are FDA cleared and proven safe. I am a licensed Physical Therapist in the state of Minnesota with 15 years of practice. Plantar Fasciitis is one of the most common causes of foot and heel pain. Plantar fascia is a thick band that supports the arch of the foot during weight bearing. With overuse, the plantar fascia can become irritated or inflamed leading to the condition known as plantar fasciitis. Typically, there will be a sharp, stabbing pain in the heel that is usually worse with the first steps in the morning. However, pain can also occur with extended periods of standing or when getting up to walk after sitting for several hours. Running, jumping, long distance walking, being overweight and poor footwear can all contribute to making the symptoms of plantar fasciitis worse. Plantar fasciitis can be caused by repetitive overstretching in the arch of the foot, which can occur with running, prolonged standing or excessive walking. With repetitive overuse, micro-tears occur and the fascia becomes inflamed causing pain in the heel of the foot where the fascia attaches. Plantar fasciitis can make simple walking difficult. Even getting up from a chair at work or at home to use the restroom can become painful. Changes in walking in attempt to minimize pain can lead to issues in other areas of the body such as the knee, hip or lower back. Regular daily activities can become much more difficult and exhausting to perform because of plantar fasciitis symptoms. Collagen degeneration created by repetitive micro-trauma to the plantar fascia causes an inflammatory response in the plantar fascia. Micro-trauma caused by repetitive contraction of the calf muscles in combination with bringing the toes up towards the body, which results in traction or over-stretch of the plantar fascia. Thickening of the plantar fascia caused by buildup of scar tissue from a continued cycle of tear and repair of the fascia. Occasionally, nerve impingement and irritation from increase swelling and tightness around the hind foot and ankle. If symptoms have been present for more than 7-14 days and do not appear to be improving. If you have taken drugs, such as an anti-inflammatory, but it no longer helps to reduce symptoms. If simple walking becomes more painful and progresses from just a few painful steps in the morning to more prolonged pain with walking that does ease up. If you have foot and heel pain at rest when not walking or standing. If you begin having pain in other areas such as the knee or hip. If you notice numbness or tingling in the foot and/or toes. If you start having progressively more severe pain and stiffness that radiates up the calf muscle. If left untreated, Plantar Fasciitis can lead to SIGNIFICANT FUNCTIONAL LOSSES. Ignoring plantar fasciitis can lead to chronic heel pain due to buildup of scar tissue. This buildup can lead to chronic heel pain making performance of regular daily activities more difficult. Basic household chores, work duties, stair climbing and casual walking can become extremely painful limiting how much activity can be tolerated. Because of the attachment to the base of the toes, the plantar fascia acts as a stabilizer of the foot during push-off. A great way to test if you have plantar fasciitis is to stress the fascia by recreating push-off. Start by standing up straight with your feet about shoulder with apart and your weight distributed equally on both feet. If you feel pain and symptoms while standing still without even walking, you have active inflammation. Next, simply go up and down on your toes lifting your heels off the ground. If you feel pain in the arch or heel when doing this, it is likely that the plantar fascia is involved. Other foot ailments such as heel spurs will cause less pain with going up on the toes, while plantar fascia issues will be more painful in this position. Returning to the resting position should ease the pain as the plantar fascia is no longer in a stretched position. DISCLAIMER: This is not a complete diagnostic test. It may be necessary to have a full evaluation by a physical therapist to get a more accurate diagnosis. How do you treat or prevent Plantar Fasciitis and return to pain-free walking, running and recreation? My revolutionary "Plantar Fasciitis Solutions" pain relieving program helps to get rid of symptoms quickly. Many get relief after the first session. Depending on the complexity of your condition (how long you have had it, severity of symptoms, other medically related factors such as diabetes), it may take up to 6-12 sessions to fix. I discovered this solution while working with hundreds of patients who have suffered from plantar fasciitis. As I treated their plantar fasciitis, I noticed that there was not only improvement in pain levels, but there was also an improvement in balance and ankle stability. 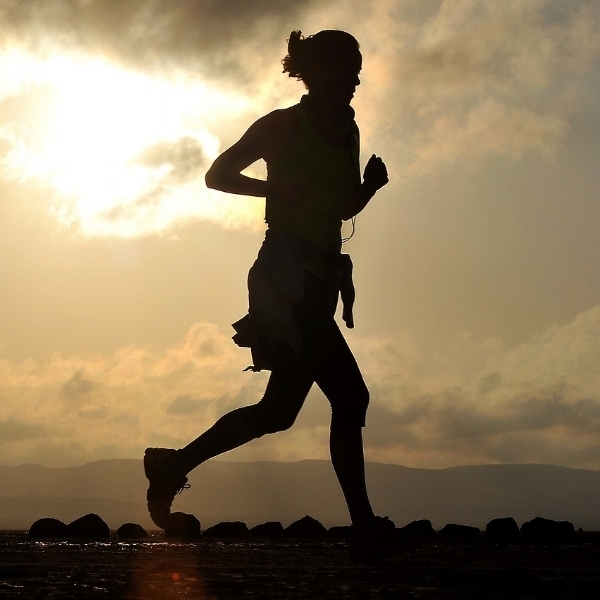 Improvements in flexibility help to optimize the efficiency of walking and running. Imbalance, weakness and tightness of this group of muscles not only may lead to plantar fasciitis and heel pain, but also cause an altering of the mechanics of the foot and ankle during activity. By the way, this treatment is all-natural. There are no drugs with harmful side effects. There are no painful injections. Most importantly, there is absolutely no surgery involved. This discovery has led to a dramatic increase in how fast my patients got better. They were able to walk, run and be active. They were able to gain strength, balance and stability that they never had before. They were able to play sports, hike, participate in recreation, work, and live their life again! Not all traditional Plantar Fasciitis treatments lead to improving your level of function. Believe it or not, some do not address these other areas and muscles that help to get you to the next level and keep you there! Not all practitioners treat heel pain and plantar fasciitis the same, and not all treatments target these muscle groups properly and effectively. My hands-on technique is highly unique. I focus on functional movement patterns restore the motions and muscles of the knee foot and ankle to get quick maximum results. My 15 years of experience has led to the discovery of this revolutionary new way to stop Plantar Fascia pain in nearly almost anyone of any age, body type or condition. My name is Joshua Holmes, PT and I am a licensed physical therapist who specializes in Plantar Fasciitis. I’m also a certified Mulligan Practitioner and have a special interest in helping those with this problem become more pain-free, healthy and active. Most feel better immediately. You can expect the pain and mobility of your foot and ankle to improve after the very first session. You could see an improvement in strength, stability and dynamic balance after just 1-2 weeks with this program. Most are finished with the program in 6 sessions and then continue on their own with the “next step” progressions that are provided to each participant. Some conditions are more complex and require 12 sessions. Because there are so many people who are truly suffering and need access to this vital information, I have created a special program to makes it extremely affordable for everyone. You don’t need to have insurance or pay thousands of dollars. The complexity of your condition will determine how many sessions you’ll need. Most everyone sees results the very first session and they love it! There’s a 100% money-back guarantee*. If the treatment program doesn’t work, you can get your money back. There is absolutely no risk. Even if you tried other treatments before, this is guaranteed to work or your money back. So, if you tried drugs, ice/heat, shoe inserts, injections, acupuncture, or even surgery without success, you owe it to yourself to try this. It's only for those serious about getting rid of heel and plantar fasciitis pain. This program is safe even if you’ve had surgery. Depending on when you had surgery and how your responded to the procedure, you may require more sessions but you will still see results. What is considered to be “Runner’s Knee”? Runner’s knee or Patelo-Femoral Syndrome is pain in the front of the knee joint frequently associate with joint stiffness, grinding, popping, and catching causing difficulty with running, jumping, climbing stairs, squatting and even walking. This condition is very often associated with cartilage damage know as Chondromalacia patellae. The most common causes are 1) poor tracking of the patella femoral joint 2) weak core and hip musculature 3) poor arch support 4) knee joint wear and tear. Runner’s knee is in most cases a biomechanics problem related to poor tracking of the knee cap. Furthermore, damaged cartilage through being overweight, knee overuse and injury can reduce shock absorption can cause patella femoral pain. The main symptom it causes is knee pain, especially in a bent position such as sitting, squatting, jumping, or going down stairs. 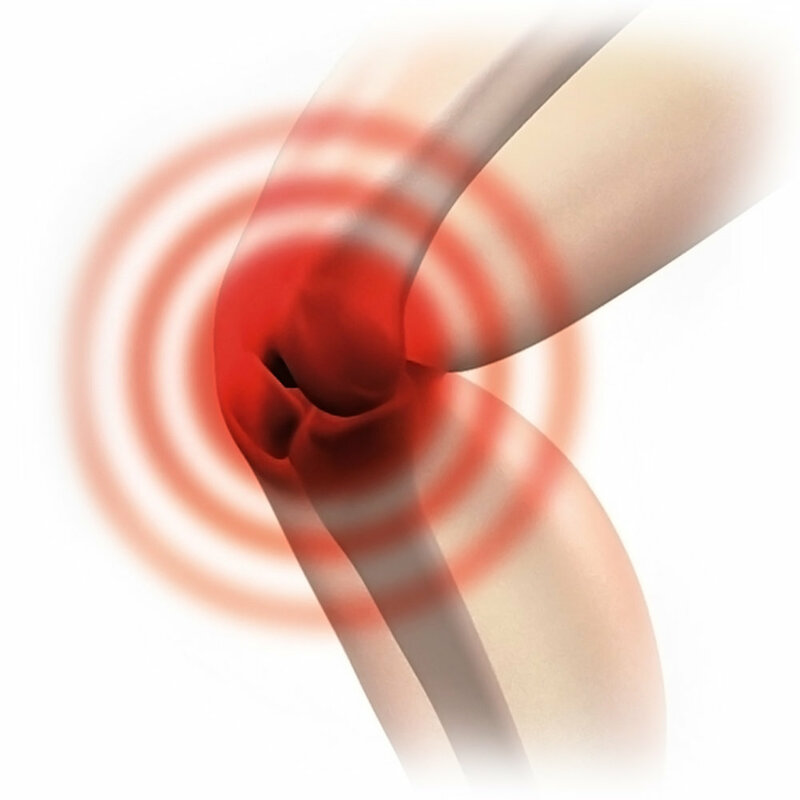 Knee pain can cause occasional knee giving way and can put you at risk of falling. Furthermore, catching, popping, or grinding sensation with movement is common with this condition. Prolonged limping can lead to hip, sacro-iliac joint and back pain. Prolonged pain results in poor cardiovascular endurance, weight gain, avoidance of sports activates, loss of income and poor quality of life. Position yourself in lying flat or long sitting with the involved knee straight. Gently and gradually contract the quadriceps muscle. If you experience pain in the knee you most likely have Runner’s Knee. Furthermore, pressure on the upper edge of the patella will reproduce symptoms suggesting pain of patellofemoral origin. DISCLAIMER: You may need to see a physical or occupational therapist to get an official diagnosis. How do you get rid of Runner’s Knee and Improve your performance? My revolutionary Runner’s Knee Program helps to get rid of tight muscles, strengthen weak muscles, reposition misaligned patella and eliminate pain related to inflammation. It often makes symptoms better very first session and depending on the complexity of your condition, it may take up to 6 sessions to fix. I discovered this solution while working with hundreds of patients who suffered from knee pain. As I treated their knee pain, their posture, knee alignment and sports performance improved as well. I found that if I normalize these muscles (and make them strong and healthy) the knee pain, patellar tracking and alignment improved very quickly. Not all traditional knee pain treatments lead to fast results and better performance. And believe it or not, some may actually make your problem worse! Not all practitioners treat knee pain the same. And not all treatments target root cause of the problem and specific muscles at fault. My hands-on technique is highly unique. I focus on functional movement patterns restore the motions and muscles of the knees and hips to get quick maximum results. My 15 years of experience has led to the discovery of this revolutionary new way to stop Runner’s Knee in nearly almost anyone of any age, body type or condition. *The complexity of your condition will determine your results. You could see an improvement in knee alignment in as little as 7 days while on this program. Most are done with the program in 6 sessions and then continue on their own. Some patients have more complex condition requiring 12 sessions. Because there are so so many people who believe need access to this information, I have created a special program to make it extremely affordable for everyone. You don’t need insurance or pay thousands of dollars. The complexity of your condition will determine how many sessions you will need. Most everyone sees results the very first session and they love it. It's only for those serious about getting rid of Runner’s Knee. A detailed explanation of the ROOTCAUSE of your pain/problem. Yes. All procedures are FDA cleared and proven safe. I am a licensed Physical Therapist in the state of Minnesota with 15 years’ experience. "Josh is patient, understanding, funny, and kind. He is concerned with patients and their well-being. He is never condescending and always patient. Josh can help discover things that are causing pain/discomfort. He has great experience, technique, and is a partner in your health. An ACL Tear is when the anterior cruciate ligament (a major stabilizing ligament on the inside of your knee) gets torn due to repetitive stress or traumatic injury. Pain and swelling develop and tells the body to limit motion and irritation in the area. The most common causes are 1) weak thigh muscles, 2) weak hamstring muscles, 3) tight muscles on the outside of the leg and 4) lack of proper training techniques. Injuries such as planting the foot and twisting the knee can cause this problem. Having the knee hit by another player while running or walking (eg. a person falling onto the outside of your knee) often causes it as well. What can an ACL tear cause? It can make it difficult to do simple things like walk one level and unlevel surfaces, sit with the knee bent for long periods of time, walk up and down steps, kick or play sports, squat, sitting down on the toilet, lifting kids, and even sleeping through the night. ACL tears often lead to partial or total loss of function if left untreated. This is when the knee joint locks up and doesn't want to move. Severe loss of motion, muscle weakness, and pain results. If your knee has issues then other parts of your body such as your hips, low back and ankles can be affected as well. Attempt to stand on one leg on the painful side. If pain gradually increases while standing on one leg after 10 seconds, it's a sign that the ligament may be involved. Stand as long as you can or up to 30 seconds without forcing into pain. Sit down and stand up on one leg at a time. If pain and/or knee buckling occurs as you stand up or sit down, it's a sign that the ACL ligament is involved. DISCLAIMER: You must measure yourself correctly in order to get an accurate result. You may need to see a physical therapist to get an official diagnosis. How do you prevent ACL tears and perform better at Sports? My revolutionary "ACL Prevention and Performance" program helps to decrease the chances of tearing your ACL and it often works in as little as 3 sessions. Depending on the complexity of your condition, it may take up to 6-12 sessions to fix. My ACL Prevention and Performance Program has developed while working with hundreds of patients who suffered from ACL tears and knee pain. As I treated their knee pain and ACL tears (that did not require surgery), their leg strength and balance seemed to improve as well. I did some research and discovered that in the human body there are 3 planes of motion that contribute to knee pain and ACL tears. These same 3 planes of motion influence knee strength and dynamic balance as well. Not all traditional Knee pain and ACL Prevention treatments lead to a better strength and stability (not by any means). And believe it or not, some may actually make your knee strength and balance worse! Not all practitioners treat knee pain and ACL tears the same. And not all treatments target these 3 planes of motion. My hands-on technique is highly unique. I focus on functional movement patterns restore the motions and muscles of the knee and hips to get quick maximum results. My 15 years of experience has led to the discovery of this revolutionary new way to stop knee pain and prevent ACL injuries in nearly almost anyone of any age, body type or condition. My name is Joshua Holmes, PT and I am a licensed physical therapist who specializes in knee pain and ACL tear related disorders. I’m also a certified Mulligan Practitioner and have a special interest in helping those with this problem become more pain-free, healthy and active. It's only for those serious about getting rid of knee pain and wanting to prevent ACL tears. Yes. All procedures are FDA cleared and proven safe. I am a licensed Physical Therapist with over 15 years of practice in the state of Minnesota.